Ties are – along with grandmother’s wool socks – the most popular Christmas gift. Who doesn’t have in his family a grandparent, a parent, a brother or an husband who wears a tie every day or even only on certain occasions? Well, this year, instead of the usual tie bought in a store, why not give him a custom tailor tie? Of course around you can buy very beautiful ties, but you want to put the charm of a custom tie and as such unique and inimitable? An original gift that surely will be more pleased by the future recipient. 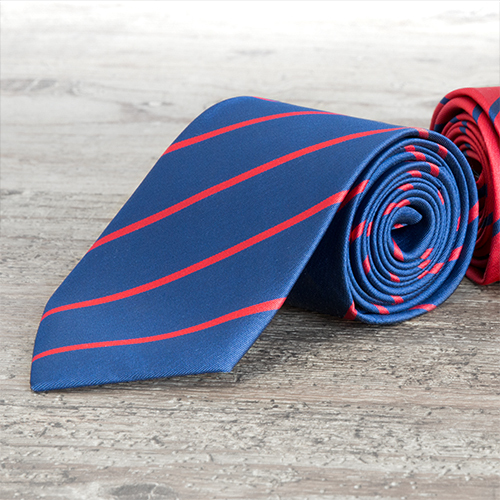 To realize a custom tailor tie is not difficult, since there are many companies specialized in men’s accessories that offer also this kind of service for a small charge. The levels of customization are several and they can change from company to company. In the majority you can choose the model and tie fabric, then, it will be made to tailor. It’s also very common the addition of the initials of the owner with a choice of character. There are some companies – not many to be honest – that allow you to print directly onto a base fabric a fantasy of your choice, making the final result truly unique and original. The cost of a custom tie varies naturally according to the type of fabric you choose and the type of making required. A more rapid and economical alternative, for those who have not much time, is to buy a ready-made tie and then take her to a dressmaker or a seamstress to make you embroider initials or the name of the recipient. Custom tailor tied is an increasingly upward trend, more and more men choose to stand out with a handcrafted, unique and which reflects them completely. For all these reasons, a custom tailor tie may be the right gift to do for next Christmas.